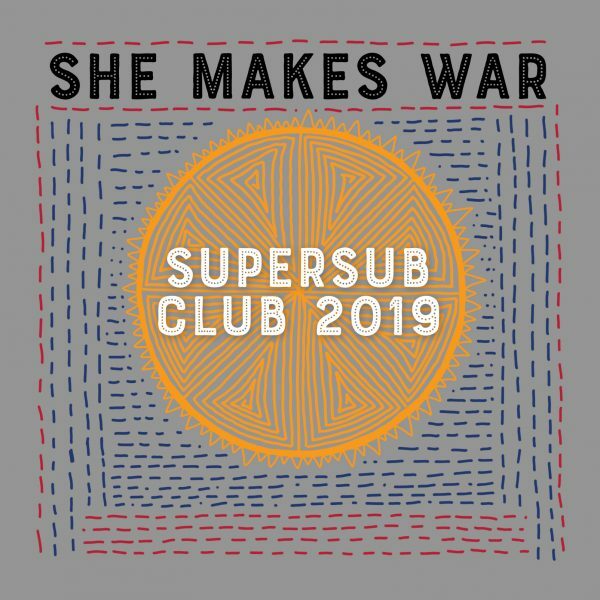 She Makes War | Welcome to Supersub Club HQ! 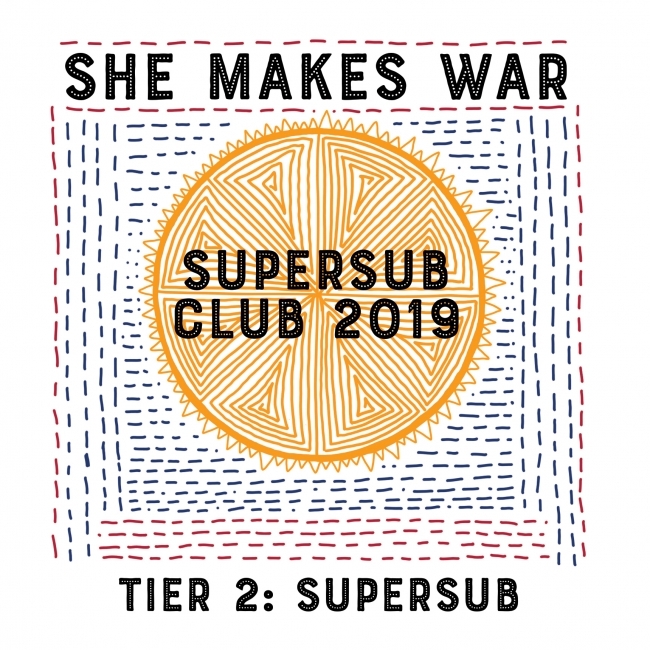 Welcome to Supersub Club HQ! Maintaining a direct connection with the wonderful people who have supported my music through four albums, three Pledge crowdfunding projects and various Bandcamp pre-orders between 2010 and 2018 is top priority for me as I write and record my fifth solo album in 2019. I’d love to give you a backstage view of making this record from the ground up, so I’m creating beautiful limited edition music and art packages to be sent from my home to yours four times throughout the year – scroll down for all analogue and digital options. 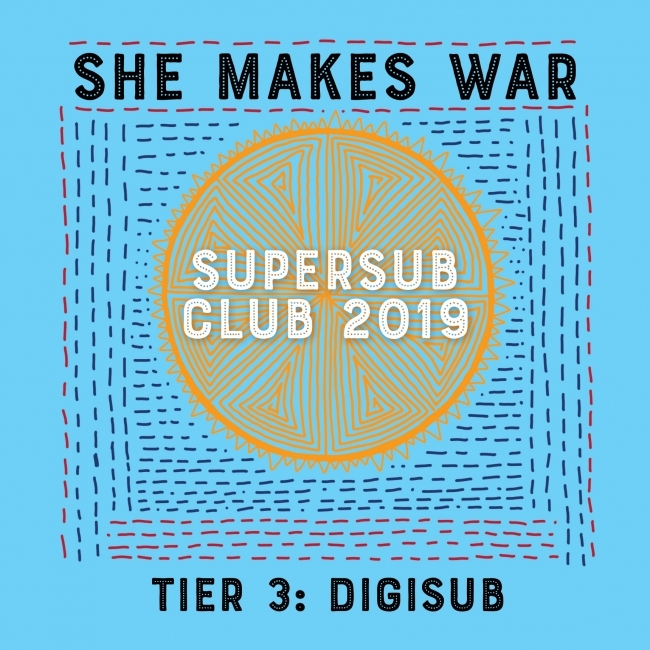 If Supersub Club isn’t for you, please consider signing up to my Inner Circle mailing list to hear from me more often (it’s free!). 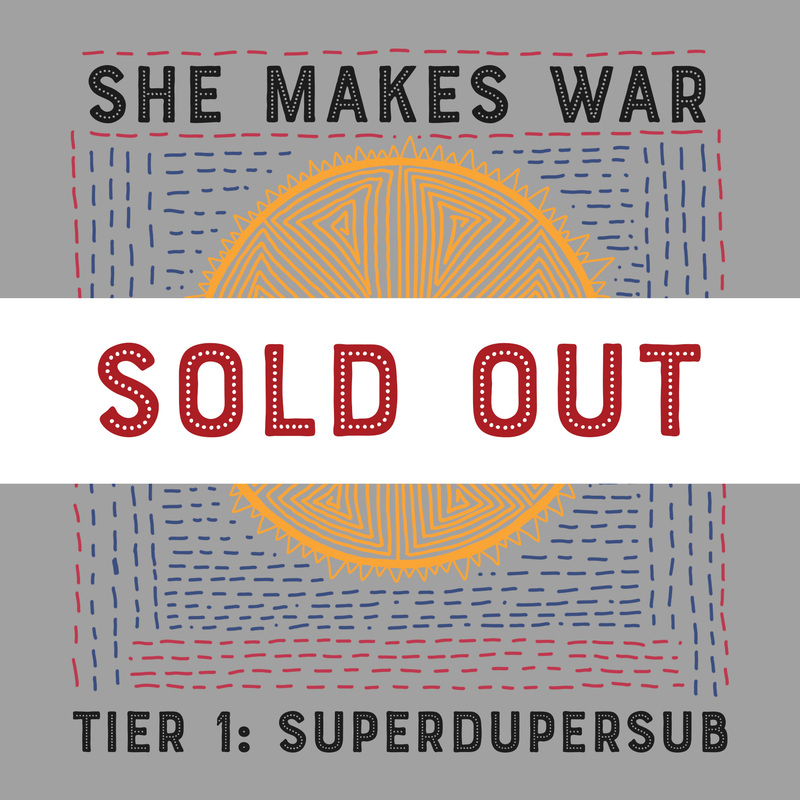 The limited edition analogue packages will be comprised of a beautifully designed and printed vinyl effect CD, a 24 page full colour zine with writing, drawings and photographs and a handwritten postcard* (*Superdupersub packages only). The CD will contain at least three pieces of music plus a 30-40 minute long podcast style voice message where I talk about what’s been going on in my world, what the new songs are about and how they came to exist. I’ll share new demos, cover songs and live recordings, and this will be the only way you’ll get to hear them until the new album comes out next year. 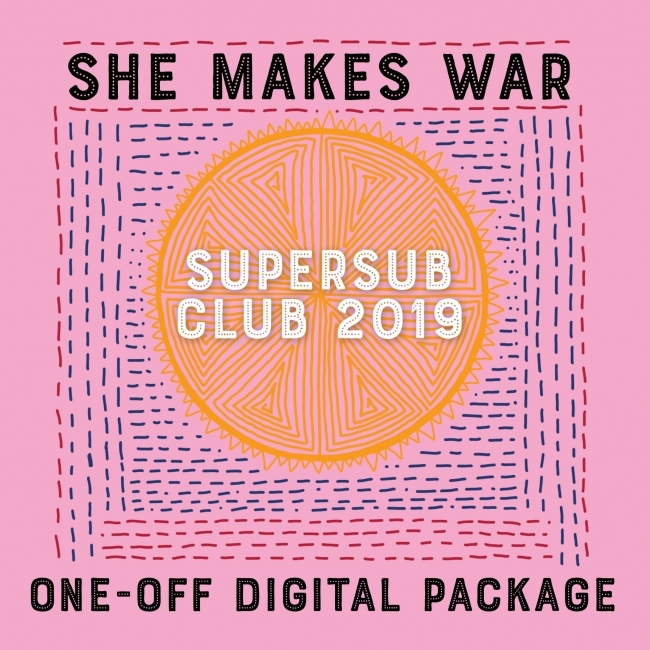 The digital packages will feature all the audio plus a digital letter, and will be delivered two weeks after the analogue packages are sent out. All subscribers will have access to my “Inner Circle” secret blog posts shared via email at least once a month and yes, I ship internationally! You also get: a digital download code + digital letter two weeks after the analogue packages are sent out PLUS access to my “Inner Circle” secret blog posts shared via email at least once a month. International shipping available. P&P will be added to your cart at checkout and will apply to the whole subscription package (you will only be charged once). You get: a digital download code + digital letter sent quarterly two weeks after the analogue packages are sent out PLUS access to my “Inner Circle” secret blog posts shared via email at least once a month. You get: a digital download code + digital letter two weeks after the analogue packages are sent out PLUS access to my “Inner Circle” secret blog posts shared via email at least once a month, shared up until the next subscription package is released (June).